Isle of Harris Distillers was named Scottish Gin Distillery of the Year at a near sell-out celebration in Glasgow. 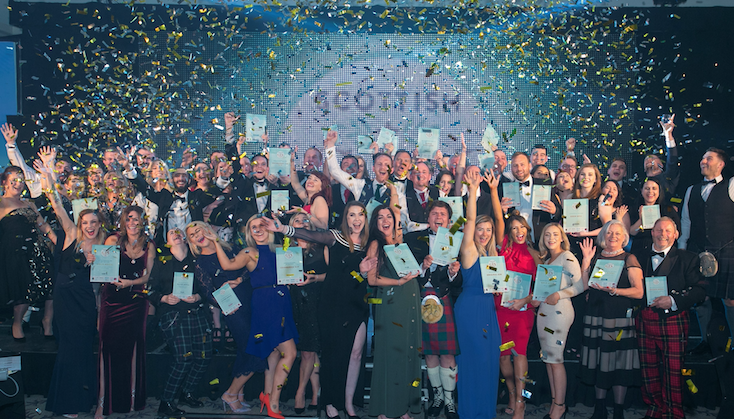 More than 600 guests gathered to celebrate Scotland’s biggest spirits competition and to hear who was crowned as winners in 18 categories. The mission of Isle of Harris is to create a “social distillery” bringing jobs and increasing tourism to the island. It fought off competition from four other distilleries to win the award. However, St Andrews-based Eden Mill won the most awards, collecting five, including the ultimate taste award in the competition, the Gin of the Year. Eden Mill also won business awards for Excellence in Marketing and Export and a bronze medal for its Oak Gin in the Cask/Aged Gin of the Year. It won silver and bronze taste medals for its Cannonball Navy Strength gin and its Pomegranate and Rose liqueur. Alloa-based Boe Gin won three medals gold, silver and bronze its Boe Scottish Bramble Liqueur, Boe Scottish and Peach & Hibiscus liqueur respectively. McQueen Gin from Callander also enjoyed success for its unique flavoured gins, winning gold for Mocha Gin in the speciality category and bronze for Spiced Chocolate Orange gin. 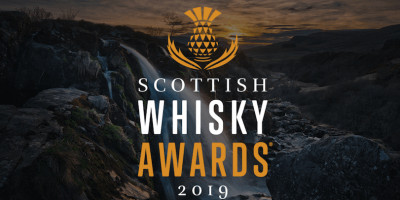 Chairman of the judging panel, Alex Bruce, managing director of Adelphi Distillery commented; “Congratulations to all the Scottish distilleries and supporting companies who have won at the Scottish Gin Awards. The Scottish gin sector can be very proud. These medals will help retain our precious reputation as a global centre in the production of high-quality spirits. 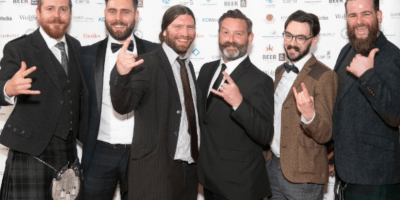 Awards were also presented to recognise the growing number of gin bars and destinations across the country, with The Craftsman Company in Aberdeen winning Best Gin Bar of the Year, and Crafty Distillery in Newton Stewart, Dumfries & Galloway taking the title of Best Gin Destination of the Year for its distillery and visitor experiences. The competition founded and operated by PR and Events company, KDMedia, launched for a second year in February and conducted a Scotland-wide search for the best gins and gin businesses. In the taste sessions, 116 Scottish gins were scored by 22 judges in a blind tasting adjudicated by the international sensory management consultancy, Cara Technology. Eighty gins progressed to the finals with the top three performers awarded Gold, Silver and Bronze medals in each of six categories. There was a 53% increase in the number of gins entered in the competition this year compared to last year.